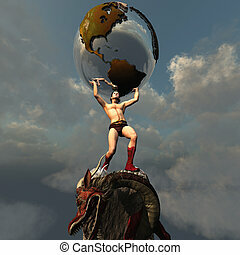 Atlas greek god. 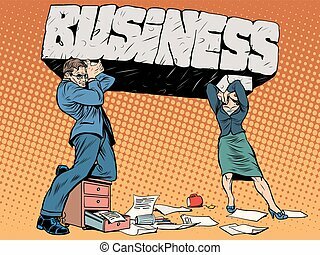 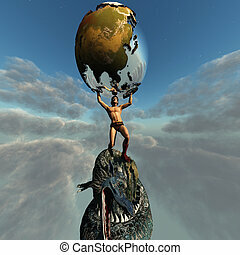 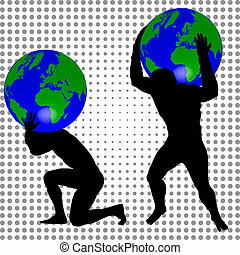 Atlas holds the earth. 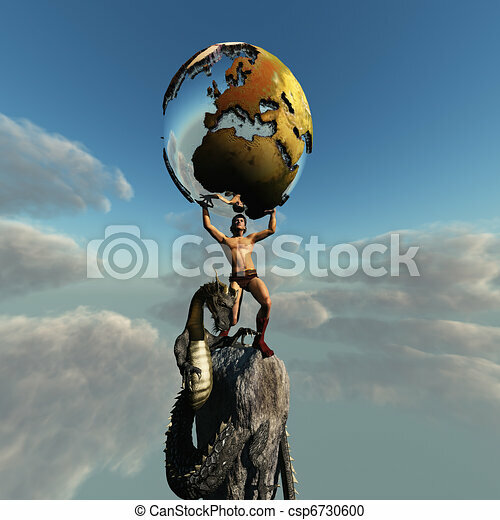 the dragon represents the unrest in this part of the world. 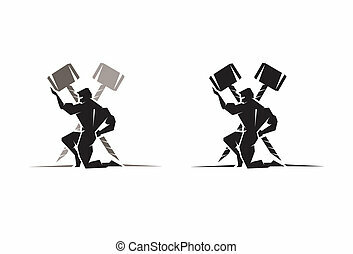 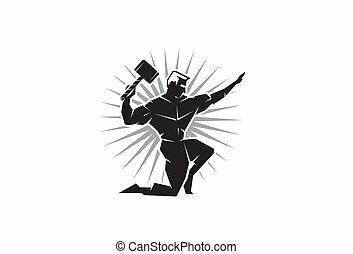 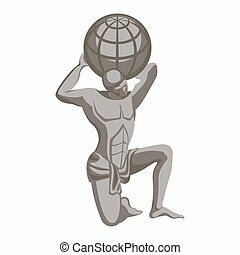 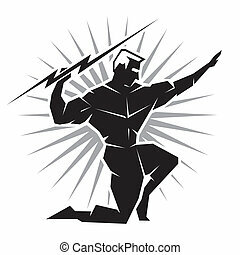 Mascot icon illustration of head of Atlas, a Titan in Greek god mythology holding up the world or globe the viewed from front on isolated background in retro style. 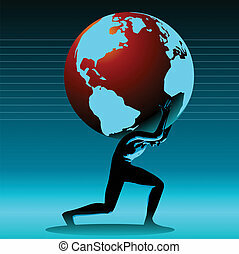 Atlas was one of the mighty Titans that once held dominion over the world. 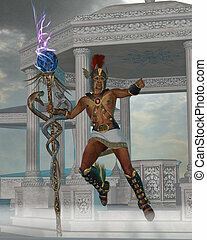 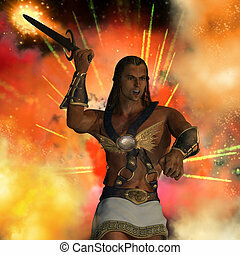 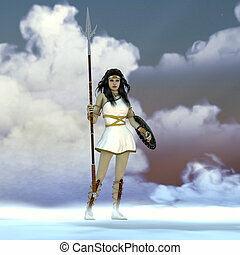 Athena was the daughter of the Greek God Zeus and admired wisdom, courage and strategic warfare. 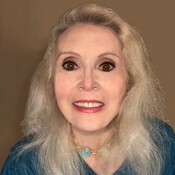 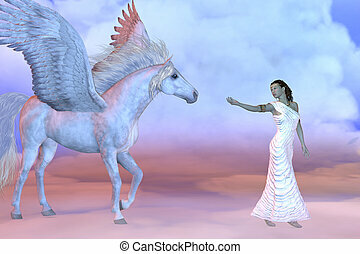 Athena, daughter of the Greek God Zeus, beckons to the mythical Pegasus high up in the cloud layers. 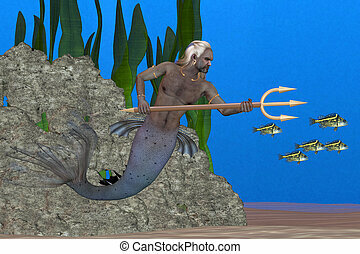 Triton, son of Poseidon, carrying a trident is the messenger of the sea according to Greek legend. 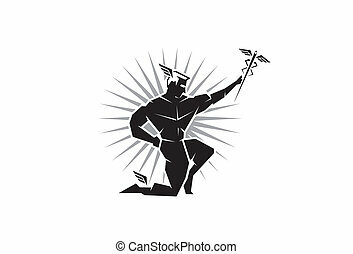 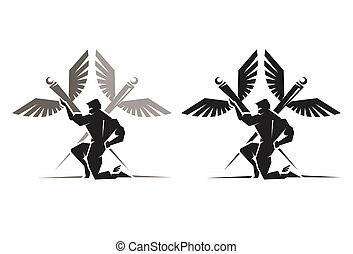 Hermes in Greek mythology is the son of Zeus and is an Olympian god and serves as messenger between mortals and the divine.